3-way thermic loading valve for solid fuel/storage tank installations. 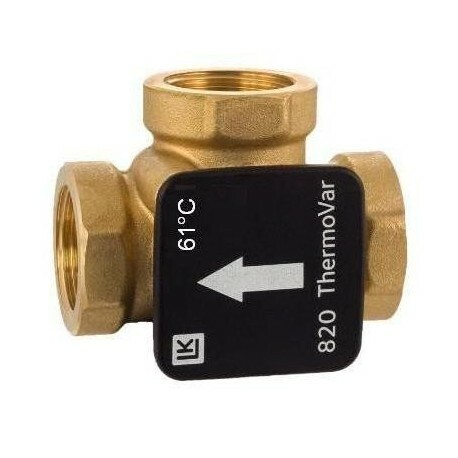 The valve is intended to ensure both an optimal temperature stratification in the storage tank and a high return temperature to the boiler, thus in - cresasing the efficiency of the system. Female thread DN32 (1¼"), 61°C, Kvs 12 m³/h. We don't sell the LK Armatur products to outside of Estonia!